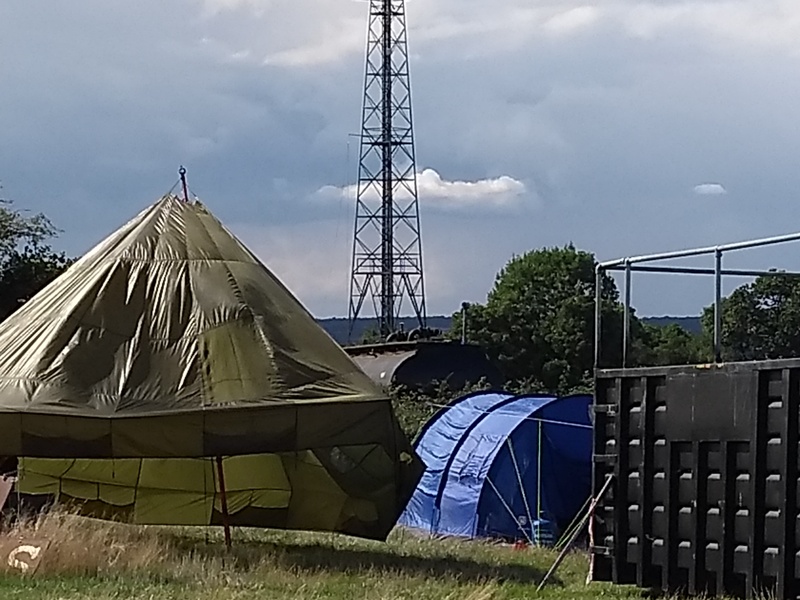 Following the LEFARS 2017 portable get together at the Kelvedon Hatch Secret Nuclear Bunker hosted by the SNB Contest Group. 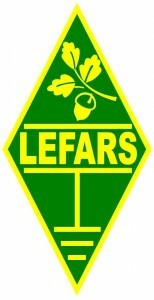 LEFARS once again convened at the bunker for a fun filled weekend of operating and a Barbecue on the Saturday night. Following on from the long hot summer hopes were high for good weather and good conditions but…. Little did we know that the sun had different ideas and decided that it would lull us into a false sense of security with good weather and radio conditions on the Saturday and then blast us with a heavy all day rainstorm on the Sunday plus wiping out most of the radio propagation above 4 MHz before returning to benign conditions on the Monday. Despite all that the elements could throw at us it was a very good event with a few thoughts to take away to improve for next year. 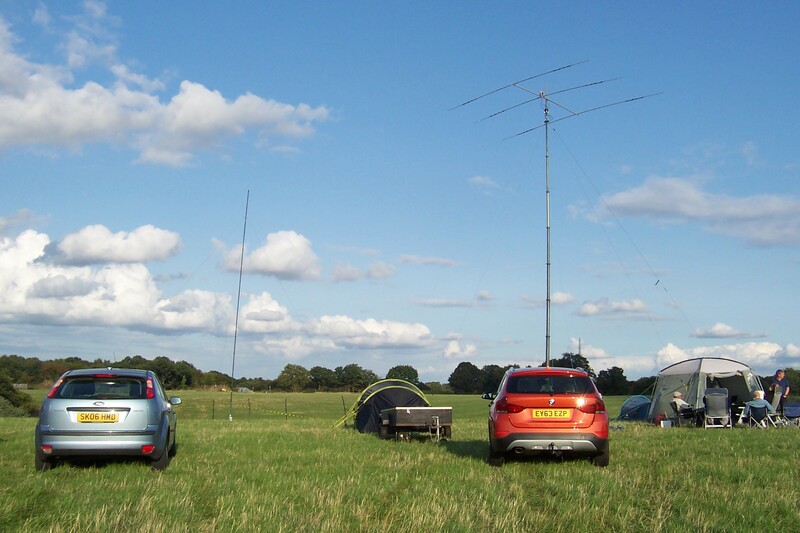 As you can see quite a wide variation on bands and aerials. 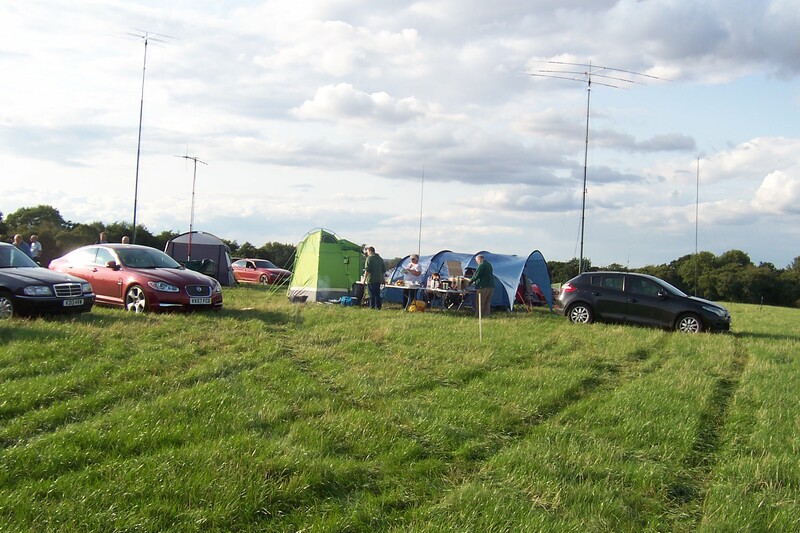 The SNB Group erected a 20m, 15m and 10m three element yagi on a SCAM mast with an ICOM 7610 driving an Expert 1.3KFA linear, Dave M0TAZ used a 40m 1/4 wave vertical with elevated radials again being driven by a TS990S and Expert 1.3KFA linear. 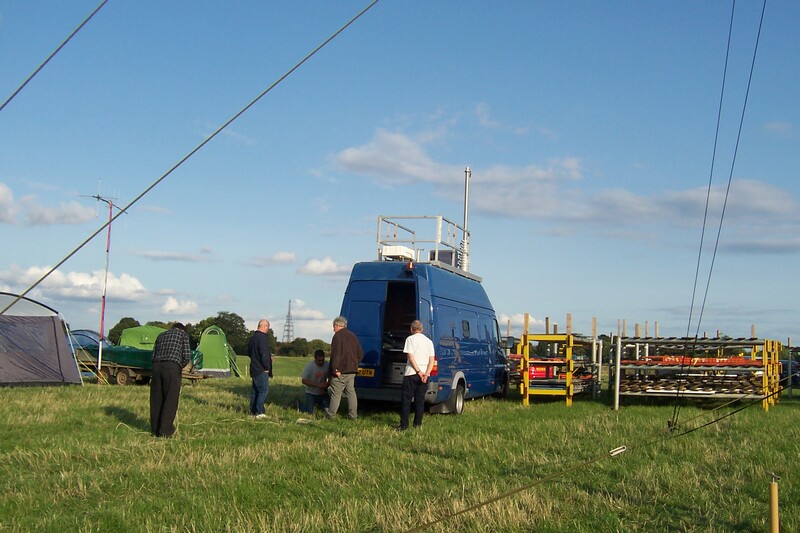 The LEFARS contingent used the trailer mast to support an Innov 4m and 6m 4 element beam and also a halyard to support the centre feed of an 80m dipole. 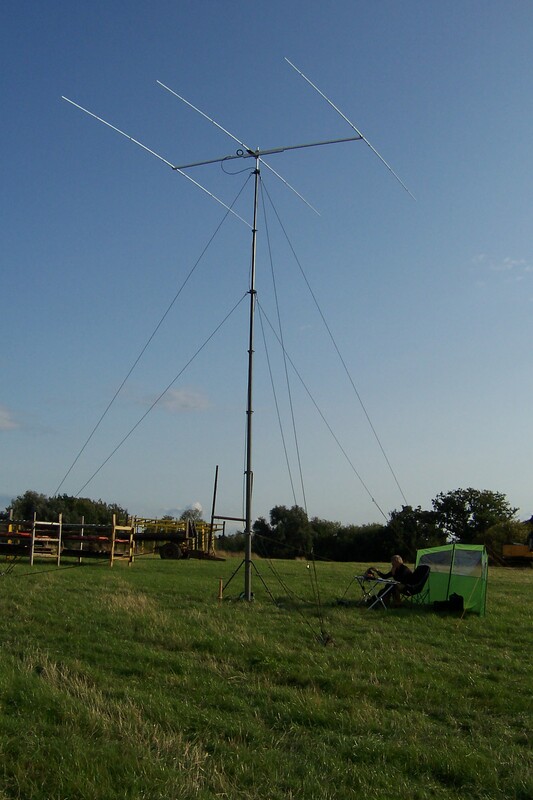 A separate mast was used to support a Tonna crossed 9 element beam for 2m and David M0VID brought along his recently acquired SCAM mast to test with M0TAZ’s 17m 3 element beam. 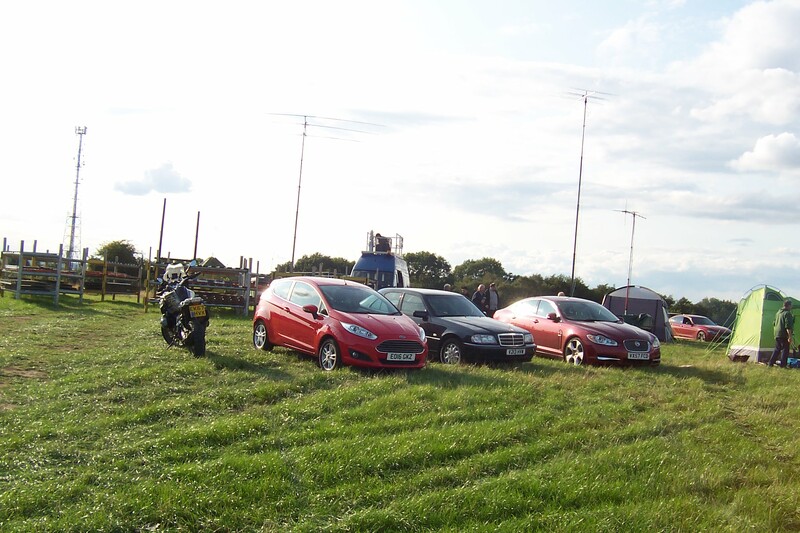 Power for all of this was provided by a combination of three Honda EU20i 2 kva generators which can be linked to provide a total of approximately 6 kva. 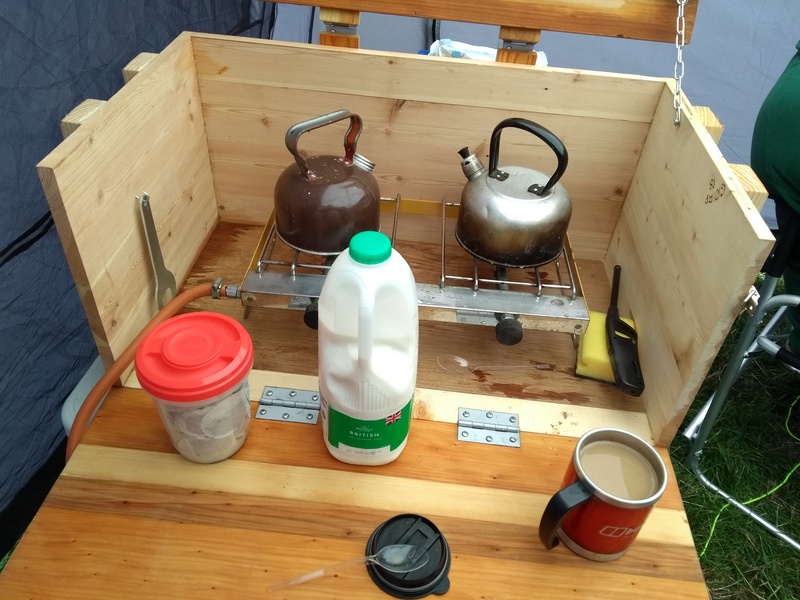 On the Monday Colin G4CWH made us all jealous when arrived in his ex OFCOM mobile station based on a Mercedes Sprinter with a 22m pump up mast, 6 kva onboard generator and operating setups inside, very nice ! 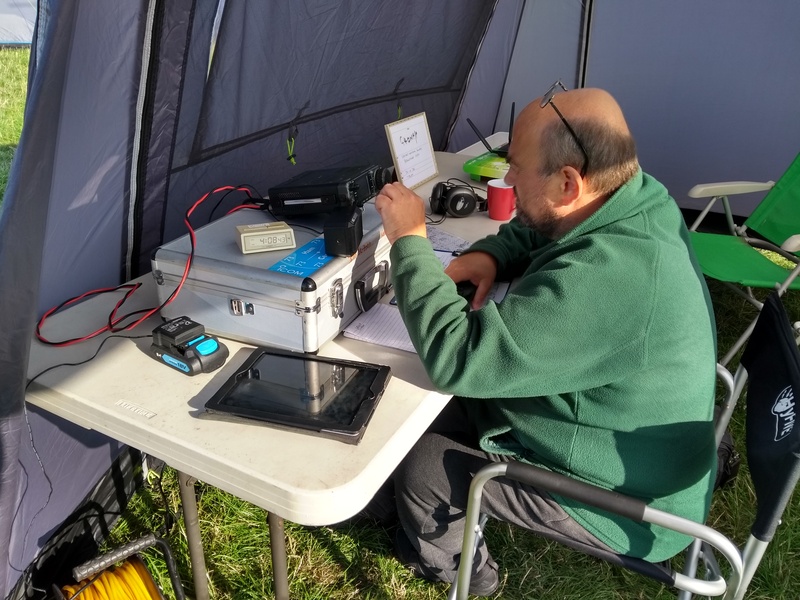 Although radio conditions on Sunday along with the weather went downhill quite a few stations were worked throughout the weekend. 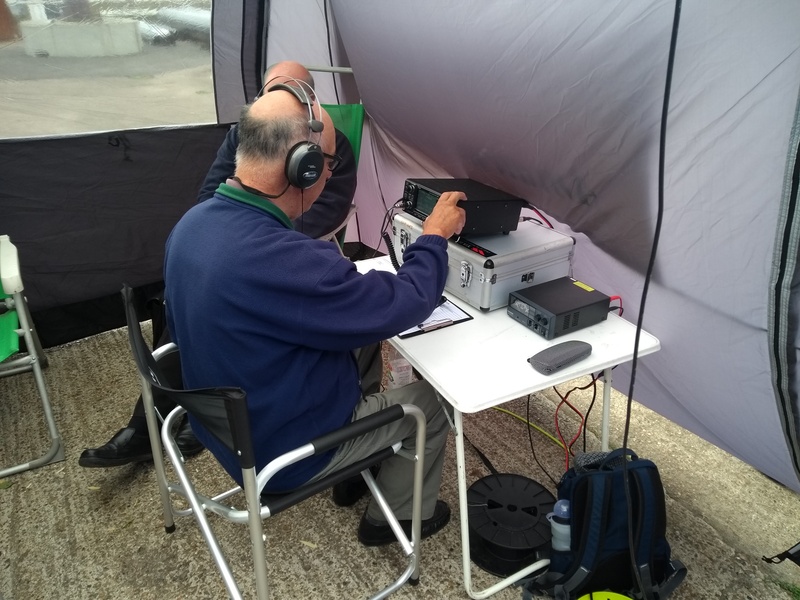 The SNB setup recorded contact highlights of China, Australia, Cuba, Arizona and West Malaysia on 40m. 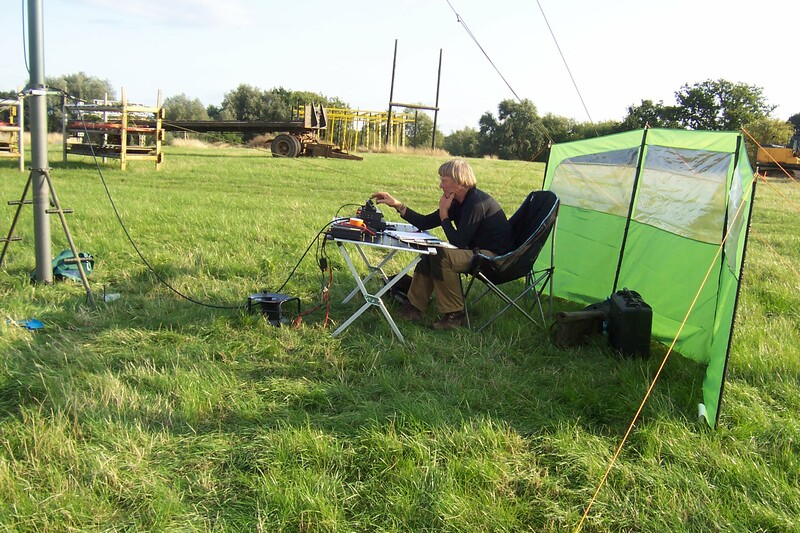 On 80m stations around the UK were worked with a number of 2m stations worked out to about a 100 miles. 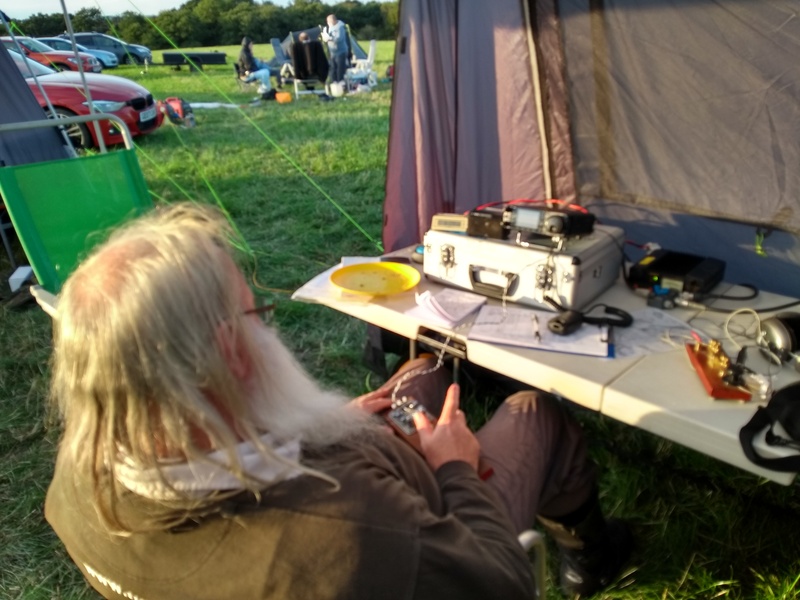 A brief sporadic E event on 4m saw Hungary, Poland and Belgium worked with FT8 whilst on 6m a number of stations were worked across Europe on FT8 furthest being Ukraine. Throughout the long weekend the following people visited. 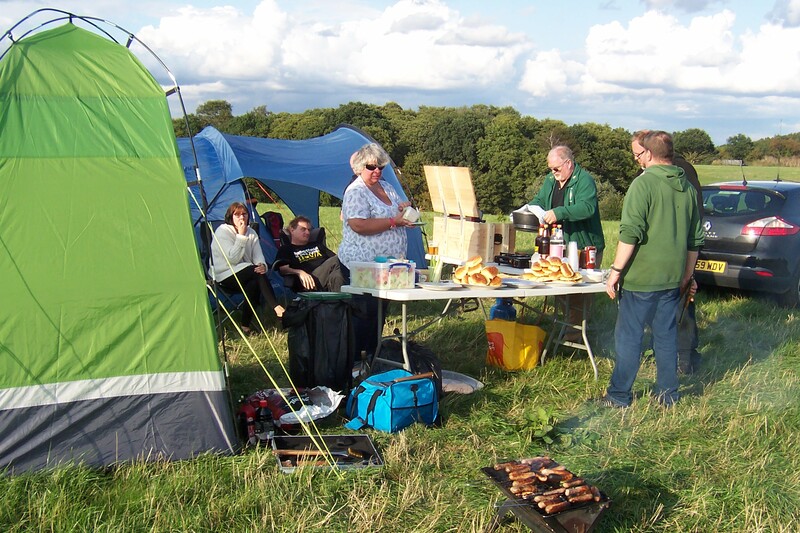 Most important Barbecue just starting, mind the sausages ! 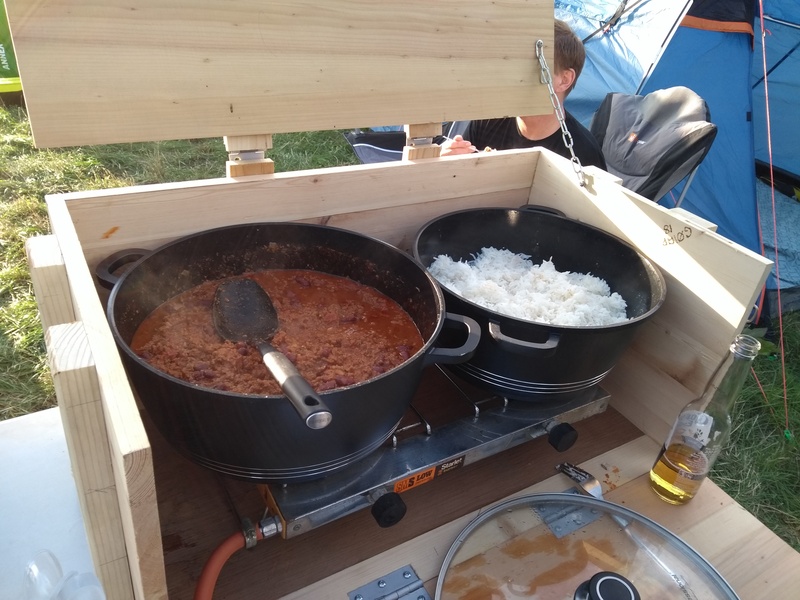 Dave M0MBD’s chilli cooking ! 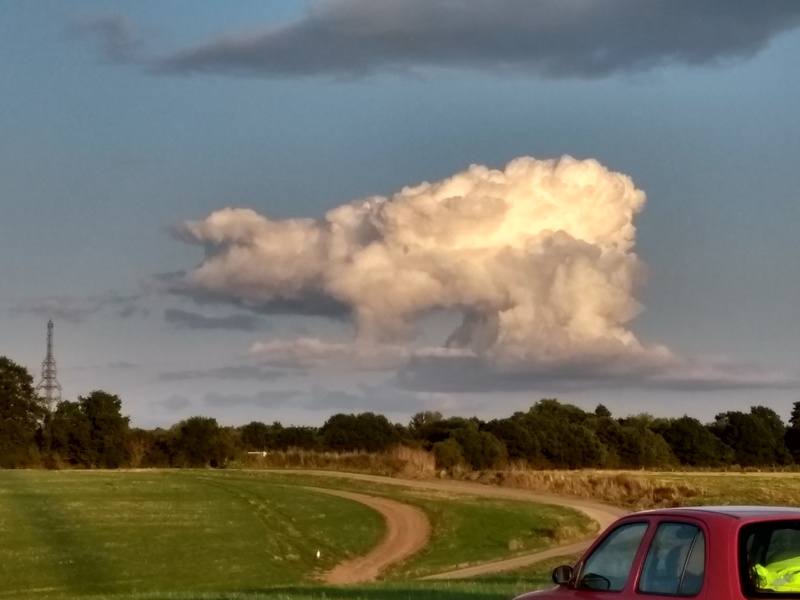 Who said pigs don’t fly ! This entry was posted in Portable. Bookmark the permalink.